Sam Brown (a.k.a. Adam Culbert) at Exploding Dog Comics draws single-pane comics based on user-submitted titles. I submitted a title to him via twitter in June of 2010 and was pleased to see it made into a comic. The phrase "I make lasers. They are blue." was inspired by my dissertation work on GaN-based laser diodes in the pure blue spectrum. I used to think this drawing was a representation of the Icarus myth, which is perhaps appropriate because academic research can certainly have overabundant manifestations of hubris and tragedy. But the real reason I like it: it's a robot with friggin lazers shooting out of it's face. 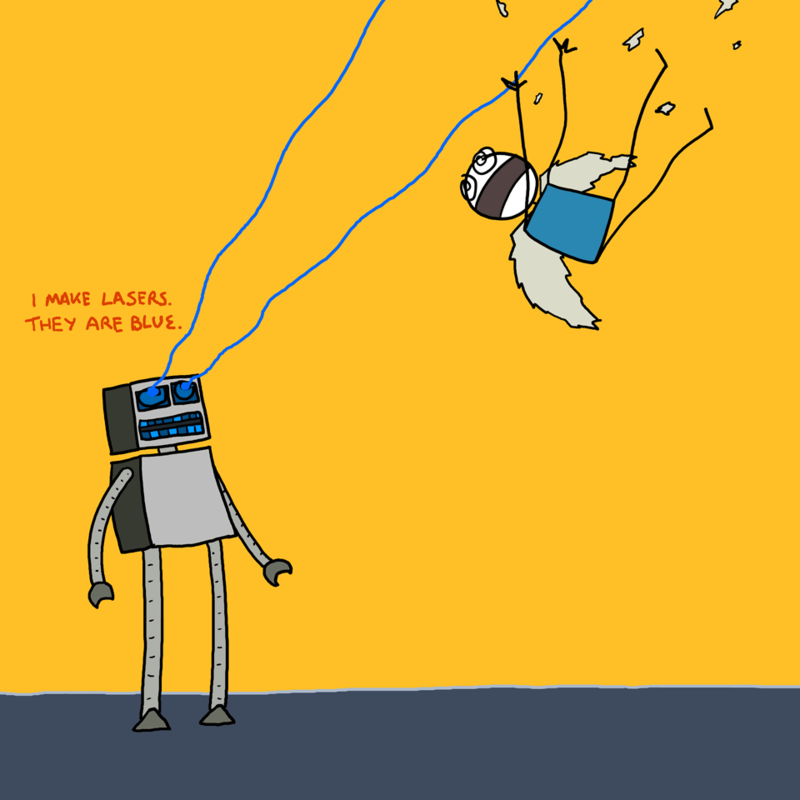 Check out Sam's other "lazer" themed drawings, of which I'm a fan. Lazer eyes is alone tonight. Does lazer eyes like coffee? If you're into the Icarus theme, check out his recent drawing, "The moon is big."